Specialties: Resonance and acoustics; Beginner/Inter/Advanced technique; Audition and performance preparation; Voice rehabilitation. 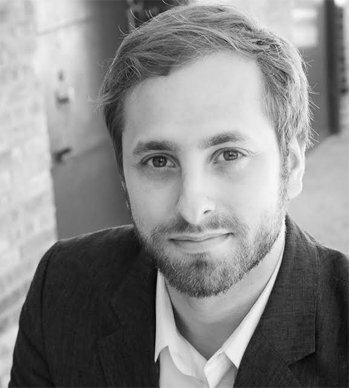 Justin Anthony Spenner is a Minneapolis-based Baritone known for his artistic honesty and engaging versatility. At home with Schubert as he is with Stockhausen, he has made impacts on the Twin Cities music community through performances of Die Winterreise at Nautilus Music-Theater (“Best Classical Concert of the Week”- Star Tribune), as well as successful premieres with the 113 Composers Collective. His education derives from the University of Minnesota (MM, Philip Zawisza, Rusty and Burt Cohen Fellow), UW-Stevens Point (BM, Dr. Dennis Willhoit, Susan Bender), and training from the inaugural season of the Mill City Summer Opera Studio Artists Program, as well as the Source Song Festival. Justin Anthony Spenner is a 2016 Minnesota State Arts Board Artist Initiative Grant recipient. Justin has received such praise as “A standout” by the Twin Cities Arts Reader, and “Breathtaking” by the Shepard Express for his work on the stage. Recent Opera and Music Theater credits include Billy Bigelow (Carousel) and Harold Hill (The Music Man) with The American Gothic Performing Arts Festival, Marullo (Rigoletto) with Really Spicy Opera Company, Lilas Pastia (Carmen) with the Lakes Area Music Festival, and Melisso (Alcina adaptation) with Mixed Percipitation. As a concert soloist, he has enjoyed performances with The Northstar Consort (Urtecht Te Deum/Jubilate Deo), Dakota Valley Symphony (In Terra Pax), and Shepard of the Lake Lutheran Church (The Crucifixion, The Messiah), as well as various recital programs throughout the state. An avid educator, Justin has stayed involved in the introduction of opera to young audiences throughout his career. In addition to being a Studio and Cover artist for Mill City Summer Opera, he was also a Teaching Artist for three seasons. He has sung the roles of Wolf (Little Red’s Big Adventure) and Wolfgang (The Three Little Pigs) for The American Gothic Performing Arts Festival, and Sea King (Rusalka) with the Lyric Opera of the North’s travelling component, Little Opera of the North. I have been teaching private voice for five years, and have been successful in teaching a variety of students and musical styles. Though my singing background is predominantly classical, I use that training to nurture healthy, strong, and organic voices. I do this by teaching both the fundamentals of singing technique (breathing, support, resonance, anatomy), and the art of musicianship, which are both essential to singing in every style..
My teaching approach starts with the understanding that the voice is an instrument, rather than simply a source of sound that can easily be taken for granted. This allows for an organic exploration of the different parts of the instrument and what role they play in its function. No two voices are alike, and likewise, no two students are the same. Therefore, I do not teach a pre-structured technique, but rather take the time to learn the needs of each student and to craft a technique that will work most healthily and efficiently for them. Cash, Check, CC, Venmo, or online invoice. Credit Card and Online payments are subject to a 3% service fee. Cancellations that are not made within 24 hours must still be paid in full. Those paying monthly will forfeit that lesson credit. Exceptions: health, severe weather, emergency. Individual lesson payment is due at the lesson. Missed payment is subject to a $10 late fee, at instructor’s discretion. Monthly invoices are sent on the 1st or 15th of the month, and have must be paid within 10 days. Late payments are subject to a $10 late fee per unpaid lesson (lessons that have occurred prior to late payment). Students will be, from time to time, be expected to purchase either individual copies of music or anthologies. There will be pianist fees for recitals and workshops. This ensures the experience of having a professional collaborator for each performance. "My work with Justin has humbled me in my practice of singing but also strengthened my long-term confidence in my own abilities. When I started taking lessons from him two years ago I had no background to speak of. I had joined an improv troupe recently that performed singing structures and I thought that any training that could help make singing an asset of mine would benefit the troupe. Being someone that I considered to always have a natural acumen for performing, learning to control my singing voice was a shockwave of reality, hence the mention of being 'humbled'. I was not very good at this. Justin made me realize that a few lessons simply wouldn't transform me into a great singer; I would have to leverage every ounce of advice he gave me from week-to-week by practicing in my MVPU (motorized vehicle practice unit aka my car), at home and also at work to the misfortune of my co-workers. I became ok with rooting out the old way I sang with the new Justin-improved method. Admittedly, I may have gotten worse for a little while until I got better. Once I did get better though, it was noticeable. Noticed by my cast mates, noticed by my director and noticed my me. That feeling of growth is really something I cherish. Justin helped me to realize that with guidance and my own effort I have a wonderful singing voice, and there was an equal realization that I had the ability the whole time. Potential doesn't get you too far though on it's own!" "I was a total beginner when I started my singing lessons over a year ago. When I went looking for a singing lesson teacher, I had no criteria to go from. After a year with Justin, I know that he’s the kind of teacher one finds in a rare blue moon. First things first, HE KNOWS HIS STUFF! I have never met a more versatile musical individual. He can play multiple instruments, train various musical styles, and still bring everything into context for all ranges of minds. Second, he is patient. I knew nothing when I started and it was hard figuring out the path I wanted to take musically. Justin was great because he let me try all types of genres, he waited for me to build confidence in my singing, and when I was frustrated with myself he helped get me through it. He knows the struggle of not reaching that high note, but he walks you through it again and again until finally that high note is a breeze. Third, he gets you!! Everyone’s brains work in a different way, but Justin has a talent for understanding what you’re trying to explain even if you don’t know the technical terms. He learned I had a more analytical brain and he came up with examples and exercises that made sense to me and I heard the same thing from his other students. "I have been working with Justin for about a year now, and he still has me surprising myself. When we started I was a total rookie: a 23 year-old who had no previous instruction, but was someone who liked to sing and play guitar. Justin patiently took me through the all the basics of pitch, breathing, and the anatomy of the voice, and encouraged me every step. We have constantly made small goals from week to week, working toward larger goals that we have set together. I have enjoyed it more than I ever thought. The best part about Justin is that he obviously really loves to teach, which makes him great at it. He has been receptive, encouraging, super knowledgeable, and really friendly. I am always impressed at how much he understands the anatomy of singing. And though I sing more folk-style tunes and he is a trained (and awesome) opera singer, the principles and challenges of singing are the same. And Justin doesn't just sing opera. He used to front a metal band, recently collaborated with a house music guy for a show, and is a pretty good guitarist. I would recommend Justin to anyone. I am a huge fan and looking forward to what we will be doing next."